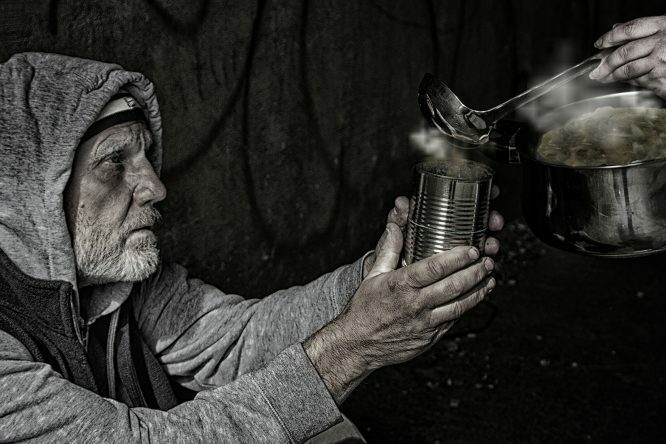 This article is the third in a three-part series, offering a fresh perspective on a topic that aging services providers often overlook — older adults experiencing homelessness. For this series, we are interviewing Brother Damien Joseph of the Society of St. Francis. Damien Joseph works with people experiencing homelessness in California and offers some incredible insights. You can read the second article here. I don’t know if there is a pattern in likelihood to seek assistance. 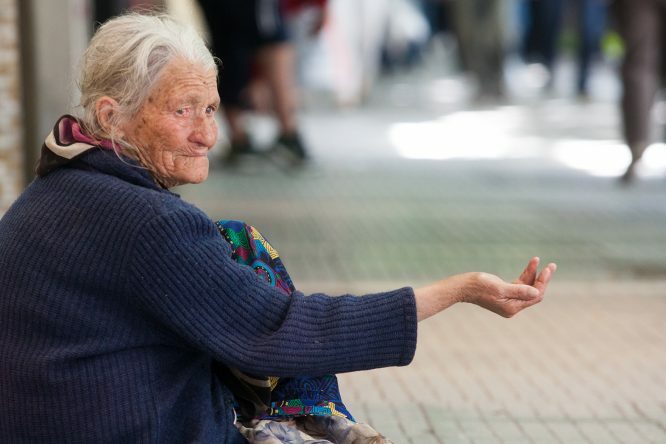 I do know there is a sub-population of “chronically homeless” people, who by virtue of being defined as living on the street long term, are often older. This population is often less likely to seek assistance for a variety of reasons, including sheer weariness of trying to navigate a system of vastly inadequate resources. Legal protections prevent most shelters from turning away an individual based on age. There are certainly specialized shelters for women with children and so on, but a shelter open to general populations may not consider age. What they MAY and DO consider is degree of medical need. If the shelter decides that a person potentially has more medical, mobility or assistance needs than it can accommodate, it does not have to accept that client. Obviously, older individuals are more likely to have these needs (especially if they’ve been experiencing homelessness) and, therefore, are more likely to be turned down. It’s legally not considered discrimination, but it has the same effect. Just last week, I was with a group talking with the Episcopal chaplain at a large LA hospital. Looking at his current hospital census, he could quickly identify nine individuals who were admitted to the facility for a treatment lasting a couple of days but had now been there from three to nine months because their age and medical needs made it impossible to find shelter or program housing. This hospital, being a religious institution and committed to care over profit, will not put these individuals out on the street, but it has received no payment from Medicare or any insurer since the first few days of the hospitalization of these nine. Other hospitals would not be willing to take such a hit. In San Francisco, a chronically homeless woman we knew well arrived at our door one chilly windy evening, barefoot, wearing only sweatpants and a thin T-shirt. She was heavily sedated by antipsychotics. The hospital where she had just been treated for pneumonia had discharged her with a taxi voucher bearing our address. Within half an hour, we had to call EMS again, and she was readmitted to another hospital for further care. If she had not knocked on our door, she might well have died that night. Do you find that individual people are less likely to help an older person than a younger one? I’m endlessly bothered by how much “compassion fatigue” I see in our cities. Most people walk past their unsheltered and needy neighbors as if they weren’t there. They don’t make eye contact, don’t speak to them and cross the street, if necessary. If it were possible to help less than “not at all,” then perhaps I could guess whether younger or older people were more likely to be ignored. Are older homeless people more likely to have been homeless for a long period of their life and have just given up on finding a home? Or do they usually find themselves homeless later in life, through no fault of their own? One of the most important truths of work with the community experiencing homelessness is that there is no typical story. There are as many stories and as many causes of homelessness as there are individuals experiencing it. It may have been common at one point for most older people living unsheltered to be among the “chronically homeless,” but I meet people in all varieties of situations. Some have been chronically homeless. Many have been impacted by the ever-increasing cost of living and income gap. In cities like San Francisco and LA, where gentrification is rampant, many have fallen victim to developer greed, as building buyers find legal loopholes in rent control and force people out of places they’ve lived in for decades. Some have lost their retirement income to recent financial crises. Many were among the growing number of Americans whose full-time, honest work never left enough to save for retirement and now find that meager Social Security payments don’t go very far, especially in a city. Some have been made destitute by catastrophic medical problems, the onset of mental illness or addiction. Those who are new to being homeless as a senior are often especially at sea. Trying to navigate the system and compete for drastically insufficient resources is a huge and baffling adjustment. Many are just overwhelmed by it. 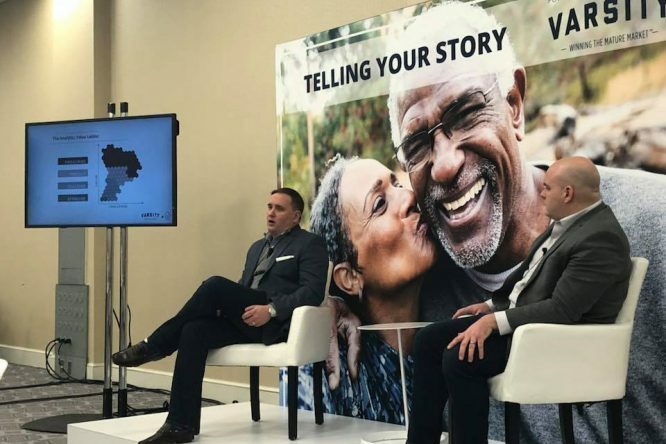 As we conclude our series of interviews with Damien Joseph, we must reflect on what we, as individuals and as organizations, are doing to help older adults that are at risk for homelessness. Each of our organizations can do something. At Varsity, we’ve made a contribution to the Society of St. Francis to assist Damien Joseph with his ongoing ministry. If you’re interested in learning more about the work of the Society of St. Francis, you can visit the website at www.s-s-f.org. If you’d like to make a donation to help the Society’s work, you can do so at hhttp://www.s-s-f.org/give . There, you’ll find information about sending a check by mail or making an online donation.